This is a common practice that while planning landscapes, walkways are often ignored or not given the due importance. We usually remain concerned with pools, patios and plant selection only. 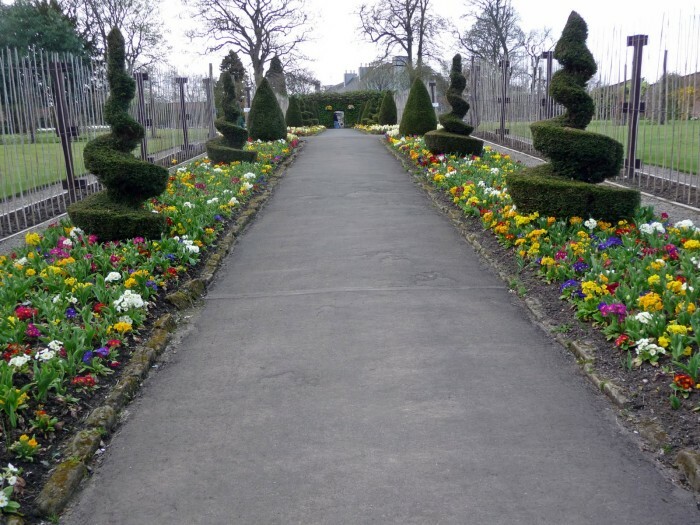 But we must not confine ourselves to them, walkways are another major element in your landscapes. We also neglect to consider how to connect the different spaces in our yard. 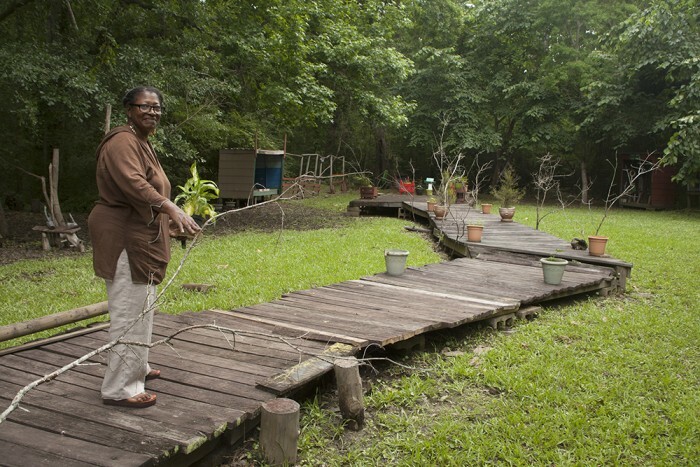 But this fact is pretty obvious that if walkways are ignored, your landscape may become disjointed because of the lack of thought put into the transitions and connections. 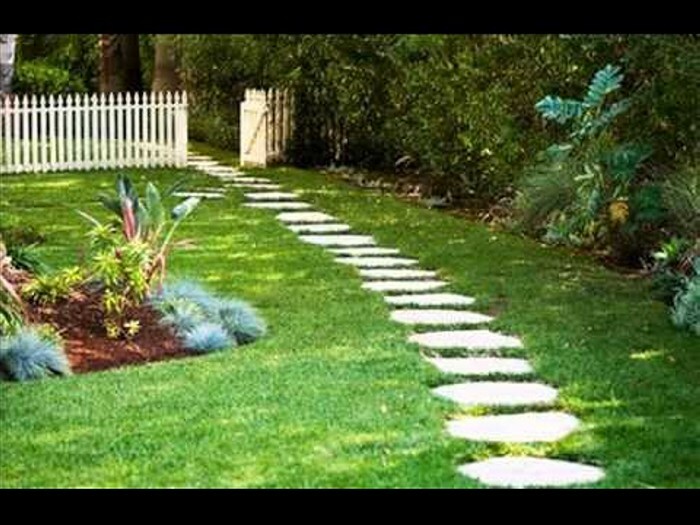 The walkways also do possess a certain importance in your garden to make it more charming. 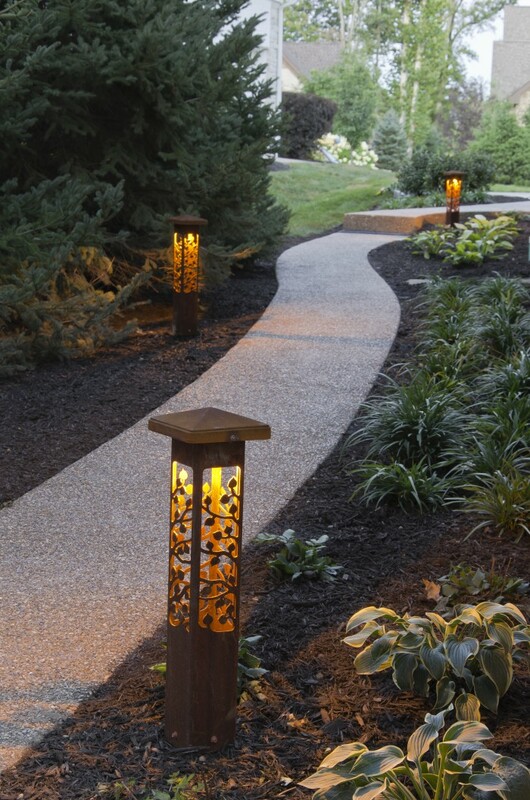 Garden Walkways do guide the visitors throughout yard, or they could also be used to create mood or atmosphere. Well what sort of feeling you want to prevail in your landscape, it completely depends upon you rather you have to create a formal or informal feeling there. 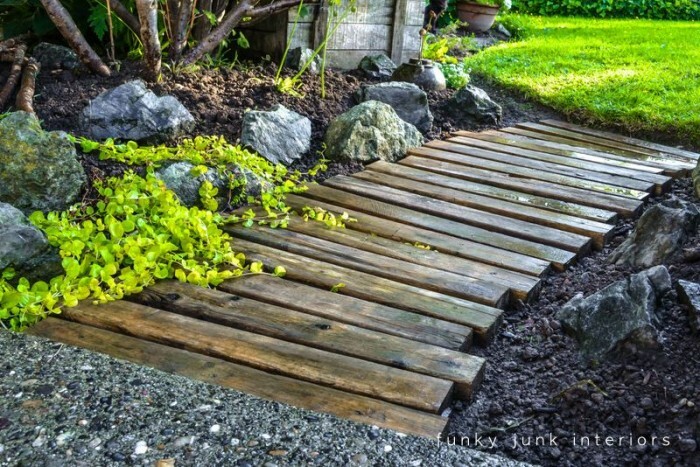 Another thing which you would have to ponder upon is that what shape your walkway would follow, what material it should be made of, and also about the dimensions. 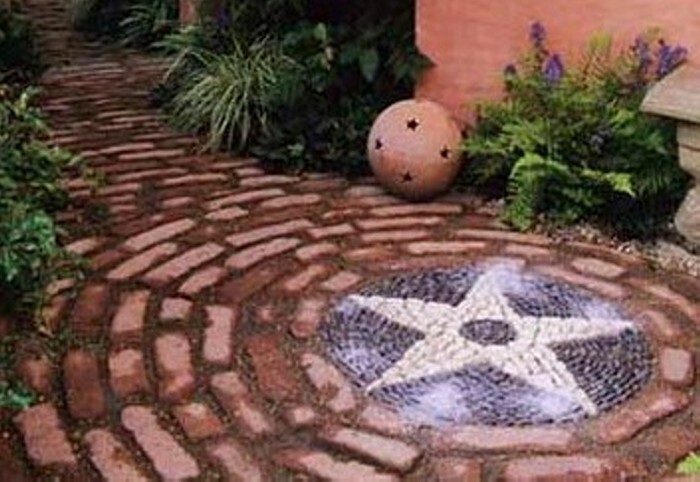 This decision might range from simple gravel to decorative stamped concrete also. While the rest of matters include your budget, desired traffic flow and the safety level. 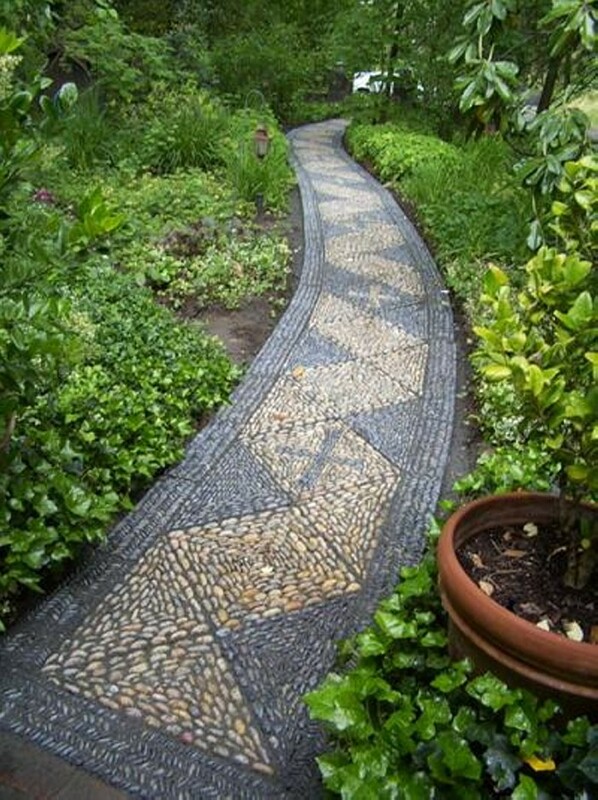 In the below garden walkway project, you can clearly see a touch of formal appearance as all tiles are arranged in a specific pattern and they are not scattered. This is wide walkway leading to the front from the starting of patio. The material used in here is pretty common, these tiny concrete tiles are used conventionally in such walkways and also on the sloppy ramps of houses. The pattern follows same curvy conventional pattern. 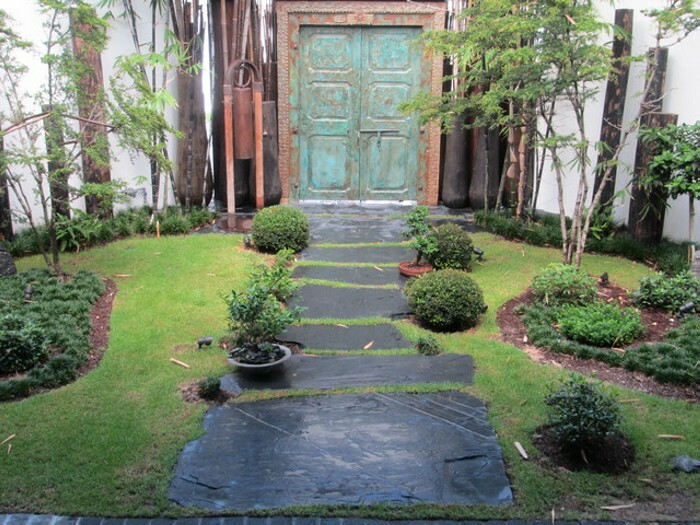 The dark navy blue to light colored concrete tiles represent a blend of formal and sober touch in the garden walkway. 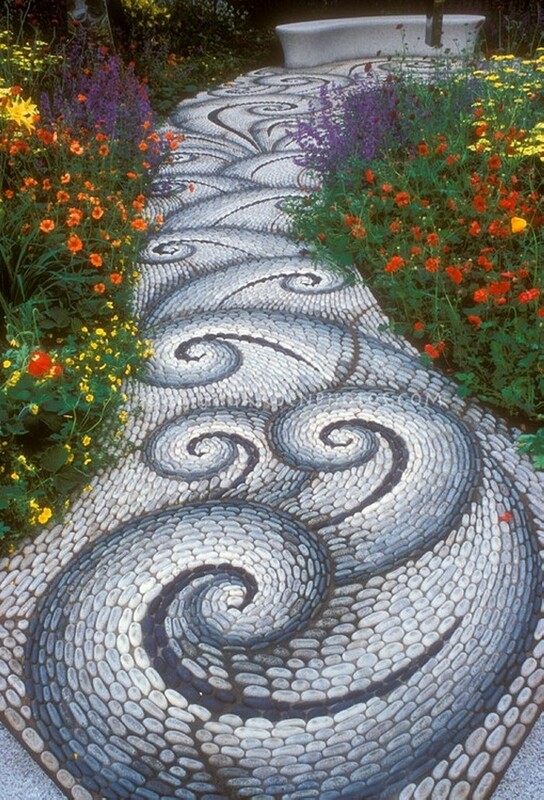 In another garden pathway project we can see a thyme fringed paver’s style. This creeping thyme grows from all adjoining round stones arranged and painted in a pattern forming a drawing or some painting on pathways. 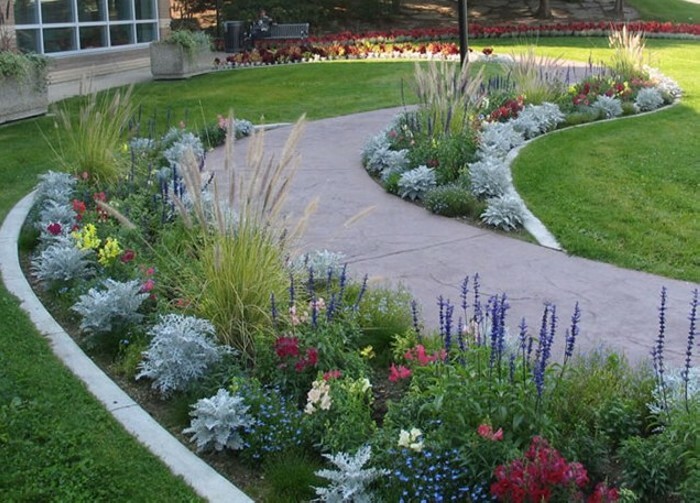 While the entire walkway is covered with the colorful bushy flowers and plants. The whole walkway bears the same traditional pattern and is curvy according to the set pattern making a semi circular shape. 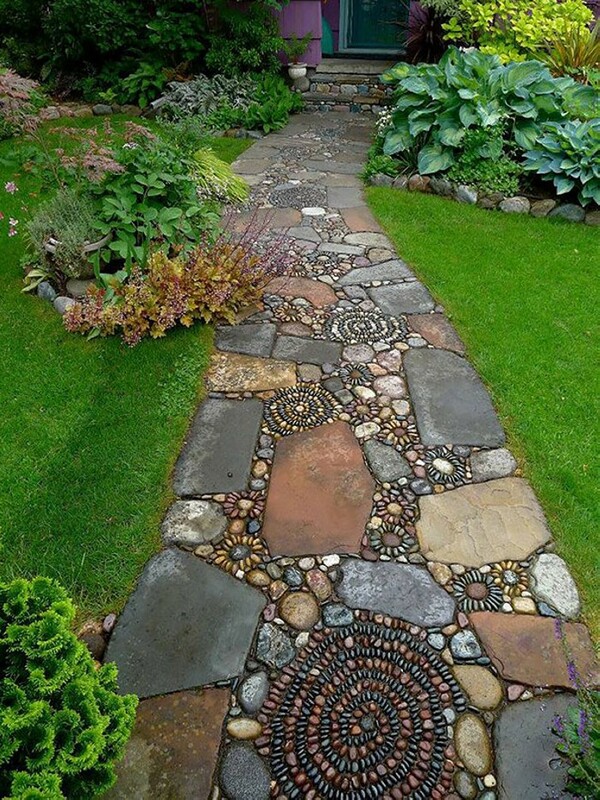 This could also be considered a formal kind of walkway in your garden landscape. 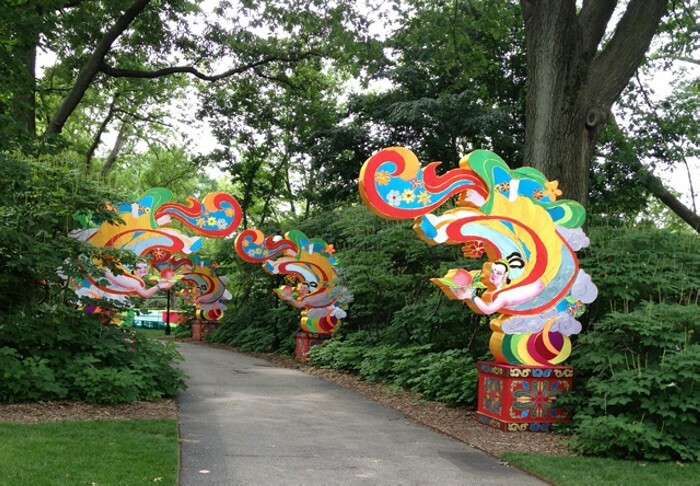 While the multi colored flower fences are adding more beauty charm and personalization to this walkway. 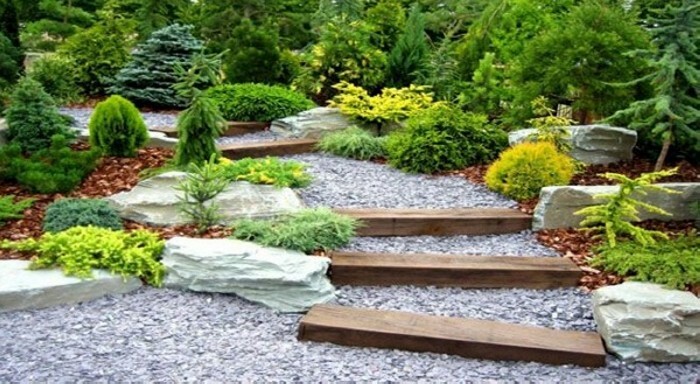 While here in this rocky walkway, you can witness messed up walkway where piles of rocky stones and huge planks of wood are placed in a specific pattern with equal intervals. This is more of an informal touch with the blend of giant bushy trees. It seems more like a theme park designed according to some precise pattern. Bushes along with rocky stones and wooden planks are giving a strange wild look in the landscape. 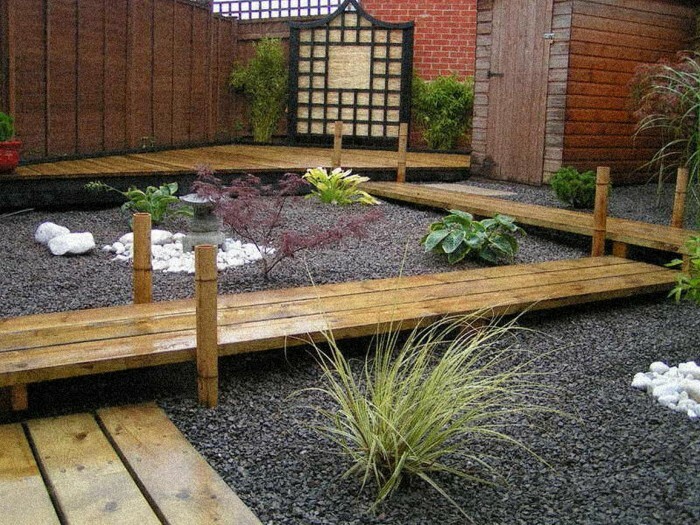 All depends upon your priorities that what you like to keep in your landscape garden pathways and how you would like make it look like. 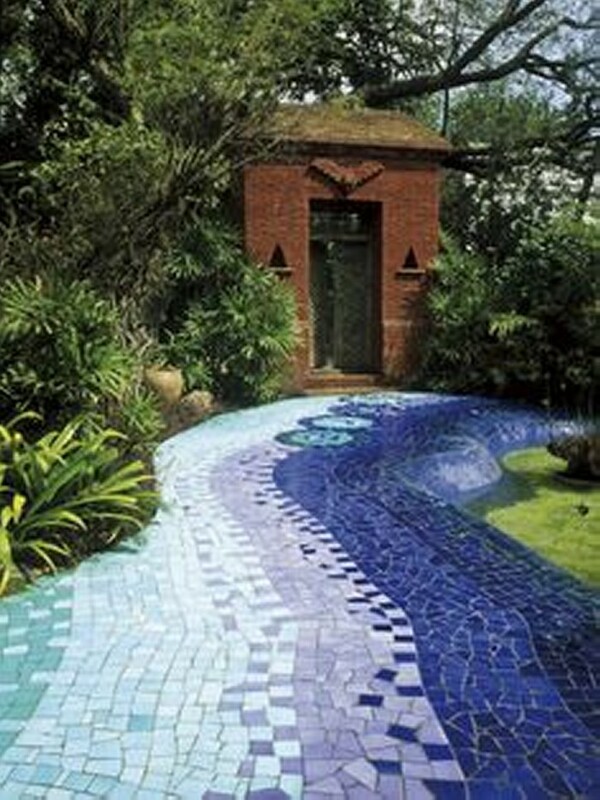 This pattern or walkway could be named as ribbon effect. 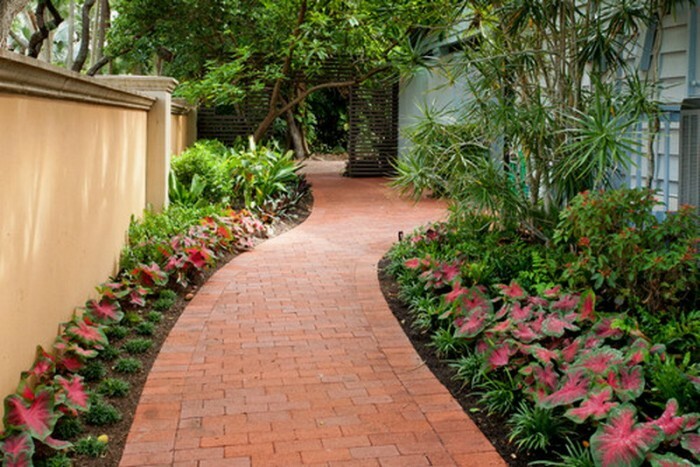 The bands of thyme are running between 2 into 3 sand washed pavers stripe a winding path and colored as dark brown woody color. Its bold and dashing structure adds to the blowsy backyard meadow of tawny carex testacea grasses, accented with pink flowery tiny plants and green fluffy plants adding more charm and beauty to the surroundings of entire walkway. 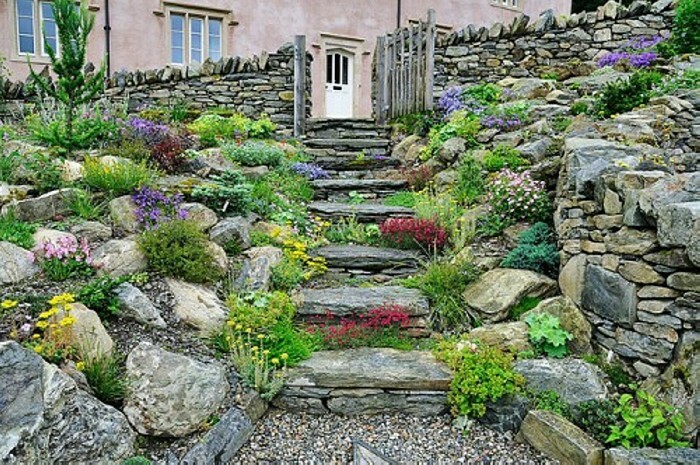 This is a kind of rough and wild walkway in an informal garden landscape where a touch of sobriety with informality is kept intact. While the huge rocky stones are also complimenting the tiny ones. While in the given below project we are witnessing an easy care front yard. 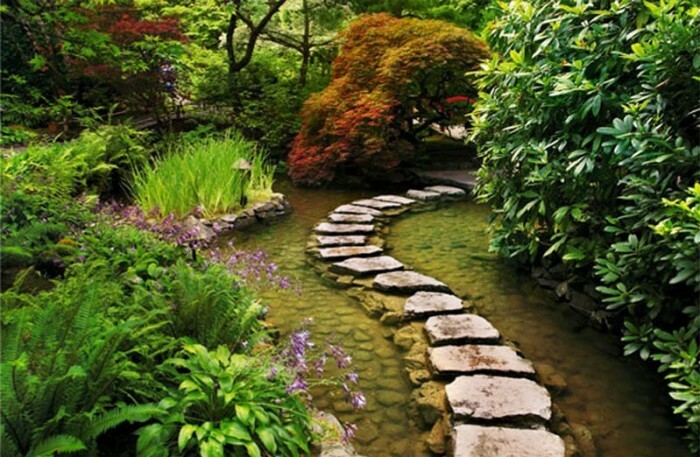 Flagstone paths curve through a low water front yard. A low berm of grassy soil on both sides is giving it a distinguished look. 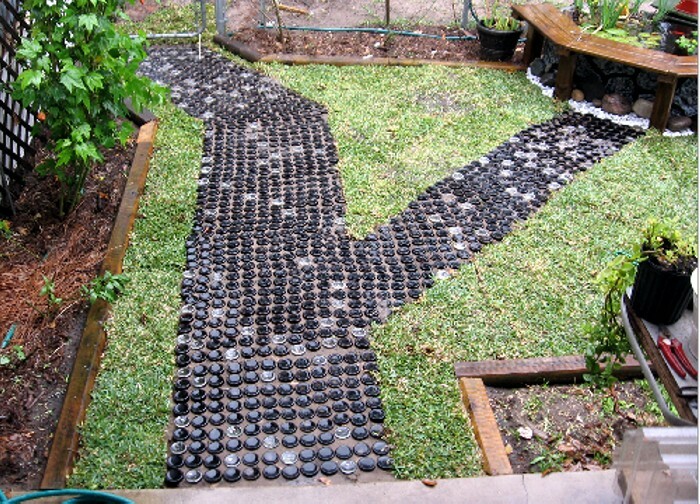 And it also adds to interest, while weed cloth topped with permeable pea gravel allows excess water to soak into the earth rather than run off into the street. While the selection of plants on both sides is pretty specific. A blend of bushy herbs and perennials along with some thorny ones can clearly be seen to give it more of a dramatic, wild and informal touch.